By now, you might be familiar with my weekly series of wedding planning tips. As you know, I am always on the look for suppliers who are a bit different or have their own niche. For this reason, this week, I have interviewed Rochelle from Something Old Something New. 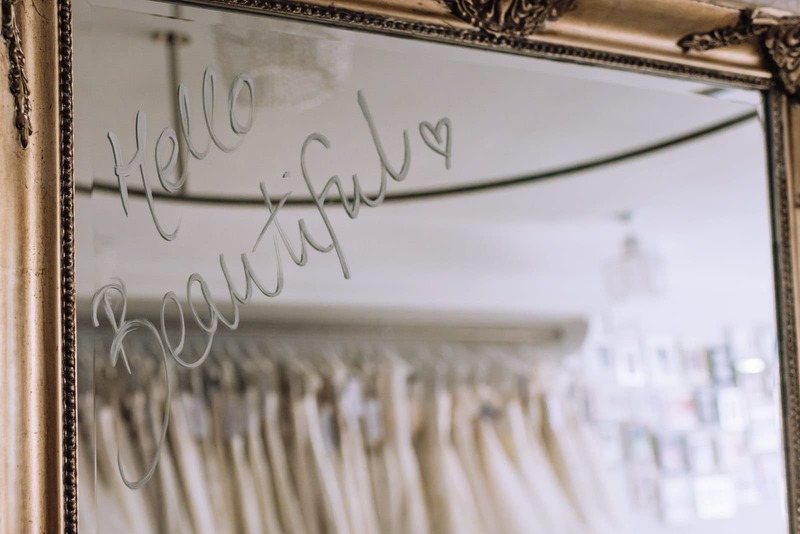 Rochelle specialises in preloved and sample weddings gowns and if you’re looking for a good deal in terms of quality and price… You should definitely check her boutique out. Hi Rochelle, could you please introduce yourself? Hello, my name is Rochelle Thorne, I am the owner of Something Old Something New Bridal Boutique in Caversham. We have been open since 2014, specialising in sample and preloved designer wedding gowns. It had been a dream of mine since 2011 after a family member really struggled to want to pay out so much for a dress. I continued to investigate the thoughts of others brides of buying ample and preloved gowns and found there were no reservations whatsoever. In fact, I found myself with a list of ladies looking to sell their gowns and a number of brides to be asking ‘when is this possible?’. The excitement started to become a reality. Although there are a number of online wedding dress sites or home businesses doing similar offerings, my passion was to bring a second to none experience for any budding bride searching for that gown. I always knew I wanted each visitor to have our full attention so decided it would be 1-2-1 appointments and that I wanted them to enjoy the experience. Every bride deserves the best treatment, regardless of a new or preloved gown and that was my every intention. There is nothing more rewarding than to see the brides’ journey from that first nervous bridal appointment to beaming with confidence to how amazing they look and fulfilling their dream dress. Every time I receive a picture of the bride on her big day it fills my heart, I love that I have a growing gallery of pictures in the shop I can look at every day. How long before the wedding would you say one should start looking for the dress? As we don’t order gowns, we are not restricted by that typical 6-month ordering process. So we can help brides with any timelines as all of our beautiful dresses are off the rail. So whether you are due to be wed in a matter of weeks, there is no panic. Or a bride with over a year to go: we suit all brides. My personal advice is not to shop too early and by that I mean 12+ months before the big day as you may find you change your mind later down the line. Styles change and your body may change. We all know its the first thing you think of once your engaged but don’t rush it. What is your main piece of advice for a bride-to-be who has to start searching for the right gown? I would say enjoy it! Don’t let it become stressful or feel pressured with timeframes. Make sure that you are open-minded in your appointment and try something on that maybe you wouldn’t think you would like as it is often the one you don’t expect. We are here to help you, let us make you feel special and give you all our years of advice along the way. How does a typical appointment go? How long ahead should one book? When booking an appointment you will no doubt be getting dates with your entourage so it is always good to plan ahead and book maybe a week or two ahead. Our advice is although it may seem nice to bring everyone along, a lot of opinions can sometimes confuse you, so try to limit it to around 3 people. 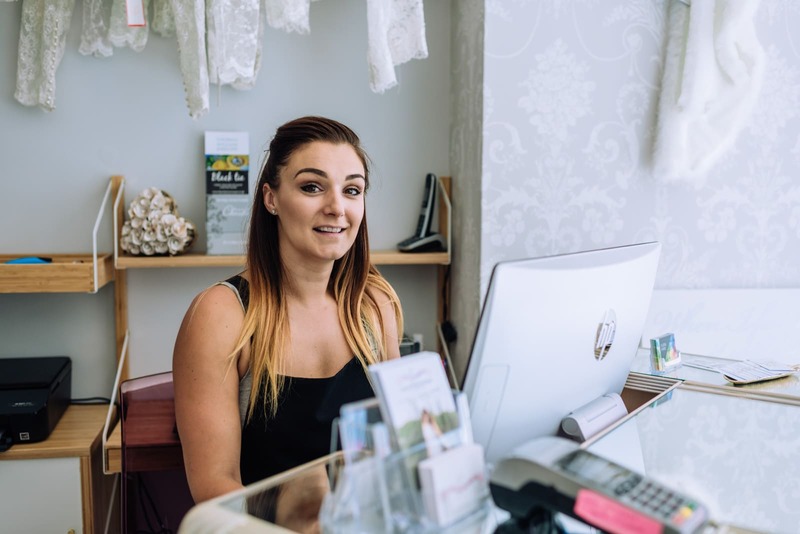 Whether your nervous or overexcited, we will be ready to guide you through making some choices and making sure you get the best out of your appointment. 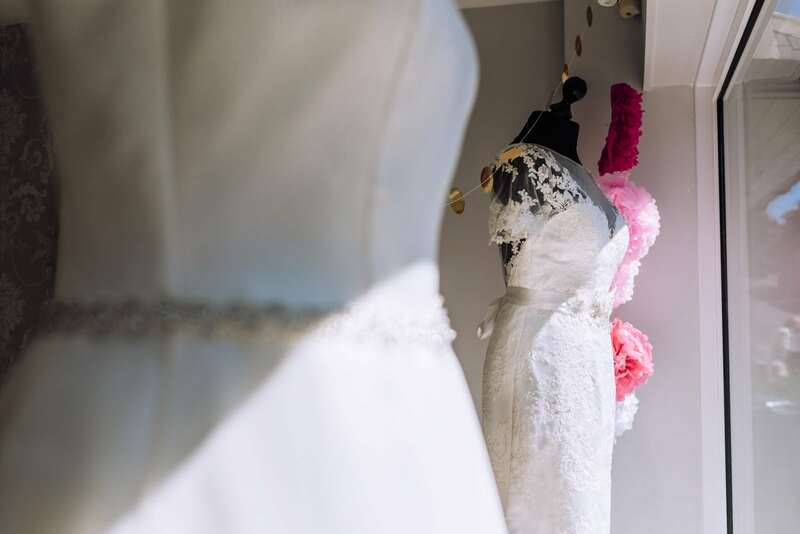 Our bridal boutique is a little different from some traditional bridal shops, so we will spend the initial moments explaining how it all works, so you fully understand before you get to the fun part of trying on! 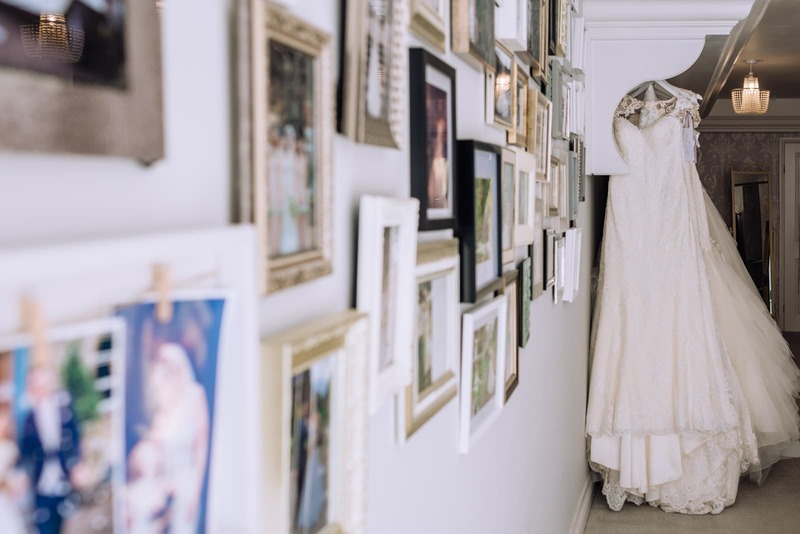 I know you specialise in preloved and sample wedding dresses… Could you tell us more about this? 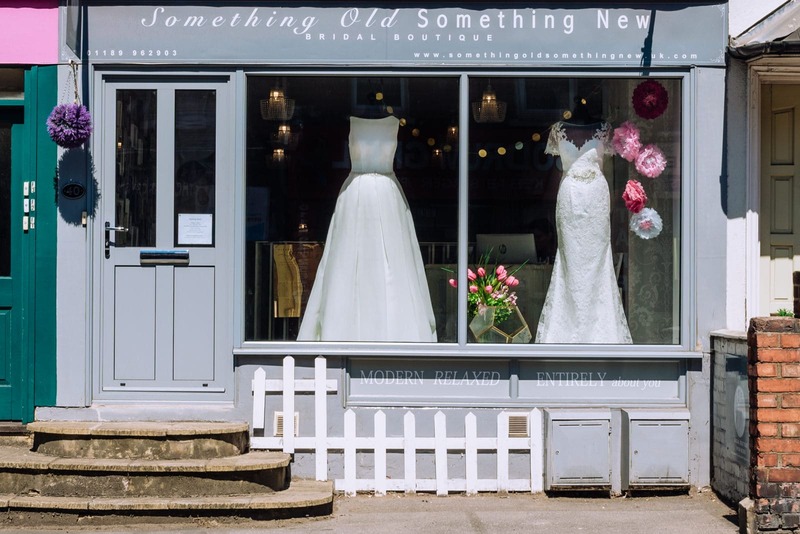 We certainly started as a preloved wedding dress boutique, but as the business has grown we really now are more samples gowns, but yes we do still have some preloved gowns. 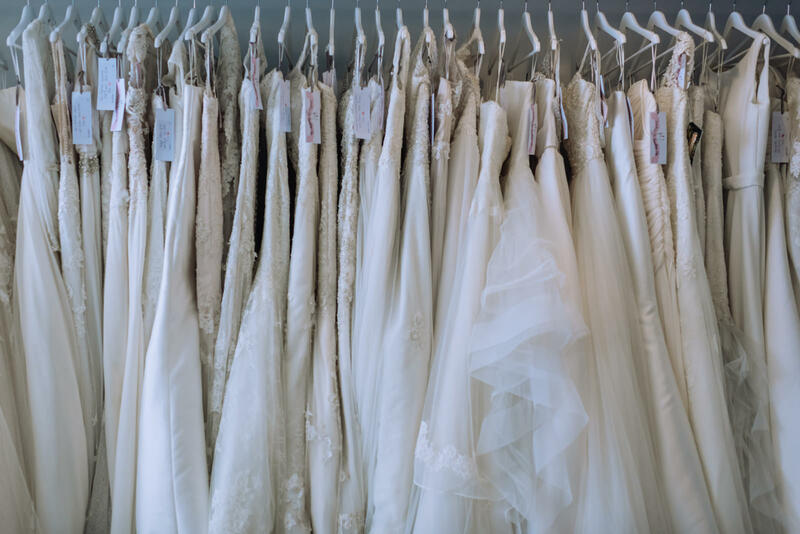 All our dresses whether samples or preloved are designer gowns that are in perfect condition, ready for you to wear for your big day. The key fact is that all our dresses are one-offs so they cannot be re-ordered. Therefore we suggest that you visit us when you are ready to find your dress as they can go so quickly. We don’t like when a bride isn’t ready and then the dress she likes is gone by the time she is. All of our dresses are 40-60% off the RRP so you can find yourself finding your dream designer gown at a fantastic price. We stock over 150 dresses and get new dresses in nearly every week so even if you visit us and we don’t have your dress first time, you can always keep an eye on our website to see all the newest additions. How long can realistically take from consultation to the delivery of the dress? Would you believe me if I said that we have turned a dress around in a matter of days?! Typically brides will buy there dress 6-12 months prior to their wedding date. Then we advise fittings to be about 6 weeks before the day. What would you say is the most common mistake brides-to-be do when looking for their wedding dress? Oh, that’s a hard one… We see many brides confused and overwhelmed when they have brought a big entourage with them, and too many opinions and personal choices have maybe clouded their judgement. Any other suggestion you would like to give to future brides? Relax, Smile and embrace the excitement of getting wed to the person you love. It is the most important outfit you will wear, but it can be the most enjoyable journey you will take. Let us make you feel special and don’t be afraid to step outside the box a little. 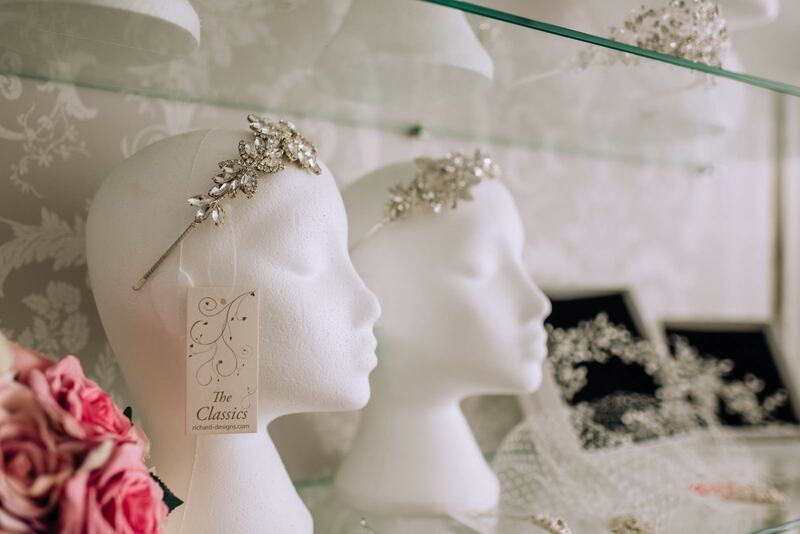 We pride ourselves on the experience we give our budding brides, so when you are booking your bridal appointment make sure you come and see us.